InstaStalker: Meet MJ Tam, the "bro" who loved "ng walang hinihintay na kapalit"
Jollibee’s “Vow” commercial, the first in “Kwentong Jollibee Valentine Series”broke the internet and the man who witnessed the love of his life walk in the altar for another man caught the attention of the netizens. 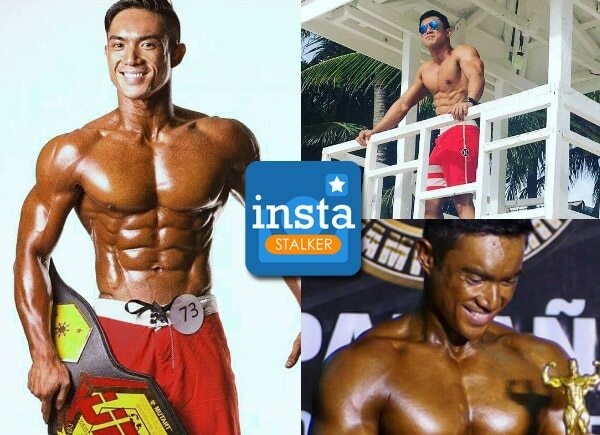 Meet MJ Tam, aside from being a commercial model, he is also an award-winning bodybuilder who loves to travel. In 2016, MJ is the Men’s Physique Overall Championin Philippine Committee of Bodybuilding and Fitness (PCBF). MJ also loves to hike and hit the beach.